duct is 2-meters in length, and includes the lid with a protective film that is easily removable after lid installation. The lid is a flush cover that snaps securely over the fingers, ensuring a tight fit with minimal effort. upper score line, and easy sidewall removal with hand tool on the lower scoreline. Material: All our wire duct is manufactured with rigid self-extinguishing PVC plastic. 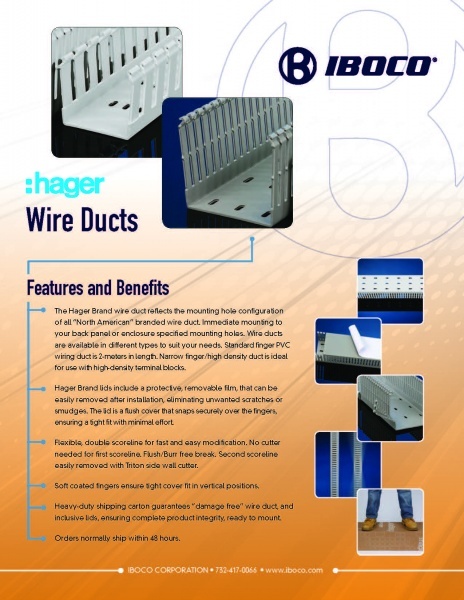 The Hager Brand wire duct reflects the mounting hole configuration of all “North American” branded wire duct. Immediate mounting to your back panel or enclosure specified mounting holes. Hager Brand lids include a protective, removable film, that can be easily removed after installation, eliminating unwanted scratches or smudges. Flexible, double score-line for fast and easy modification. No cutter for firstshoreline. Flush/Burr free break. Second scoreline easily removed with theSX-15 hand duct cutter. Fingers insure tight cover fit in Vertical positions. 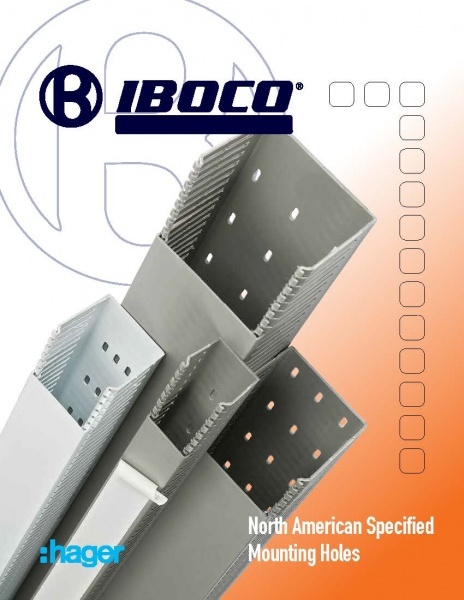 Heavy-duty shipping carton insures “out of box” wire duct, and inclusive cover, insuring complete product integrity, ready to mount. No damages.